Most people reading this weren't old enough when it was released, if they were around at all, to remember it, although it has been performed fairly frequently since its original release. MASS (formally, "MASS: A Theatre Piece for Singers, Players, and Dancers") is a musical theatre work composed by Leonard Bernstein with text by Bernstein and additional text and lyrics by Stephen Schwartz. Commissioned by Jacqueline Kennedy, it premiered on September 8, 1971, conducted by Maurice Peress. The performance was part of the opening of the John F. Kennedy Center for the Performing Arts in Washington, D.C. . . . Originally, Bernstein had intended to compose a traditional Mass, but instead decided on a more innovative form. The work is based on the Tridentine Mass of the Roman Catholic Church. Although the liturgical passages are sung in Latin, Mass also includes additional texts in English written by Bernstein, Broadway composer Stephen Schwartz, and Paul Simon (who wrote the first quatrain of the trope "Half of the People"). Bernstein's Mass, which was composed by a Jewish composer in honor of a Roman Catholic President, turned 45 years old last month. It is not a true liturgical piece, but not a secular musical theater piece either, received bad reviews as a piece of theater at the time it was released, and triggered a wide spectrum of reactions from Christians - not infrequently nearly opposite ones even from people who shared essentially identical religious beliefs. Somewhat frantically, it hit a lot of doctrinal issues from how it is appropriate to respond to the promise of forgiveness of sins in your life, to the role of Christianity in the lives of troubled very masculine men, to the tension between showmanship and deeper meaning in worship, to doubts about one's own faith, to how to respond to undeniable miracles. What is the import of the fact that this expressly Roman Catholic religious work is composed by a Jewish man? Does he pull it off well, or does his lack of insider perception lead him to present his subject matter in a way that seems off key? Some people felt it mocked religion. The FBI feared that it advanced an anti-war agenda. Others felt it did a great service to Christianity by making it relatable and introducing them to the faith. Is it a work that excites strong feelings among Christians today? If so, among whom and why? If not, why not? Has it aged well? Or is it, like bell bottoms and disco, yet another embarrassment from an era not known for its good taste? What does Roman Catholic doctrine have to say about how one should use popular culture to tell sacred messages, and how does Bernstein's Mass, in particular, comport with that guidance? Doctrine will be addressed later on, I'll start with reaction to the piece since its release. Mass came full circle when, in 2000, Pope John Paul II requested a performance at the Vatican. The performance in the Vatican City was released on DVD in 2004. This performance was staged at the Vatican as part of the Jubilee 2000 celebrations of the Roman Catholic Church. 1158 The harmony of signs (song, music, words, and actions) is all the more expressive and fruitful when expressed in the cultural richness of the People of God who celebrate. Hence "religious singing by the faithful is to be intelligently fostered so that in devotions and sacred exercises as well as in liturgical services," in conformity with the Church's norms, "the voices of the faithful may be heard." But "the texts intended to be sung must always be in conformity with Catholic doctrine. Indeed they should be drawn chiefly from the Sacred Scripture and from liturgical sources." The article and its source material, (Sacrosanctum Concilium(SC), 1963, Pope Paul VI) address music for both the mass and "devotions and sacred exercises" (Such as during Adoration ...) It does not address popular musical forms beyond music within the Church's context. From SC, 121, you can derive an objection to Bernstein's Mass because it presents both an imitation and an interruption of a Mass celebration (while obviously not being one). Composers, filled with the Christian spirit, should feel that their vocation is to cultivate sacred music and increase its store of treasures. The texts intended to be sung must always be in conformity with Catholic doctrine; indeed they should be drawn chiefly from holy scripture and from liturgical sources. An objection is that this musical piece does a disservice to the sacred nature of the Mass by (1) creating a secular spectacle while (2) associating itself (by using the name Mass) with the most sacred sacrament of the Faith. Cultural appropriation? Yeah. Giving offense? For sure. In the past 10 years, I've seen great public outrage over far lesser offenses. (intended or otherwise). CCC 1211 ... This order, while not the only one possible, does allow one to see that the sacraments form an organic whole in which each particular sacrament has its own vital place. In this organic whole, the Eucharist occupies a unique place as the "Sacrament of sacraments": "all the other sacraments are ordered to it as to their end." While the composer, Bernstein, could not be excommunicated for profaning something sacred (he was not Roman Catholic) it is a fair criticism from the Catholic point of view that his treatment of this sacrament is a profaning of the sacred for the purpose of profit (his intentions, however sincere they may have been to offer up a tribute to belief and faith, etc, are not obvious if one simply listens to or experiences the performance). Can popular music handle sacred subjects? Yes! Handel's oratorio Messiah and Bernstein's Mass differ significantly. (Beyond the fact that the former was originally written for smaller vocal groups and only grew into grand orchestral performances over time). Handel (actually, the author of his libretto, Charles Jennens) stuck to scriptural and liturgical sources. Bernstein and his collaborators interspersed their piece with secular and even skeptical passages and themes, to include addressing crises in faith. The Roman Catholic mass is a grand celebration of faith, an affirmation of faith, not a session of self doubt, not an examination of the loss of faith in God. By using the title Mass for the piece, and recognizing that the Catholic Mass is a celebration of the most sacred sacrament of the Catholic Church, Bernstein is open to fair criticism of the piece going beyond matters of taste -- the criticisms of profaning the sacred. Those criticisms can still be fairly made, even if tempered by Pope John Paul II's inclusion in the Jubilee celebration in 2000. (A sedevacantist can argue that since Vatican II's shake up of the church, his endorsement or tolerance is null and void as pontiff, or further evidence that there's still no real pope in St Peter's chair, but that's a separate topic). Since Vatican II, there has been an ongoing dialogue within the Church on the appropriateness of various forms of liturgical music, and devotional music, as well as continued disagreement between the more traditional Catholics and charismatic Catholics on what is or is not appropriate music for the liturgy itself. (The Q&A linked only covers part of it). Many traditional Catholics object to what the United States Conference of Catholic Bishops(USCCB) has approved, recently: charismatic versions of the Gloria(for example) and the Agnus Dei. If Bernstein's Mass finally passed Pope John Paul II's muster for a public performance, that partly answers the question in terms of the reactions changing. Whether it has aged well is a matter of personal taste. The USCCB has provided guidance (doctrine) for American Catholics regarding other uses of music in support of worship/prayer/praise, as well as guidance on music with the proclamation of God's word. The works of Handel and other composers who have set biblical texts to music are marvelous examples of music’s power to evangelize. Music can open ears and hearts to the Good News of God’s presence, action, and love for the human race. Even today many composers are creating musical settings of scriptural texts through which listeners can meet the living God in fresh expressions of the Word. Contemporary Christian musician Matt Maher has performed at World Youth Day with the Pope present on multiple occasions (most recently in 2014). Like Handel with Messiah, his approach (while using popular musical style) conform to Catholic belief and liturgical references. Does that please all Catholics? No. From a doctrinal point of view, he's staying within bounds, and certainly is within the guidance of the USCCB. Each council of Bishops will provide guidance for their territory/country. (For example, Bishops in Canada will not necessarily agree with the USCCB.) Provided that the guidance from the Holy See is complied with, some local variation is tolerated. In certain parts of the world, especially mission lands, there are peoples who have their own musical traditions, and these play a great part in their religious and social life. For this reason due importance is to be attached to their music, and a suitable place is to be given to it, not only in forming their attitude toward religion, but also in adapting worship to their native genius, as indicated in Art. 39 and 40. Full disclosure: having been raised by two agnostic parents, the first time I ever heard the Lord's Prayer was on my 9v-battery-powered Sony transistor radio, in 1974, as sung by Sister Janet Meade. I started singing it around the house. My mom, who was baptized Presbyterian, asked me why I was singing that song. I explained. She pulled down the old (dusty) KJV my dad had on the shelf and we had an interesting conversation about the Lord's prayer. Singing as evangelism: it reached me. Bernstein's Mass, which my father has a copy of, was a bit much for me as a teenager when he played it on his Hi Fi system. I have not heard it in years, so I can't comment on it's aging well or not. Not the answer you're looking for? 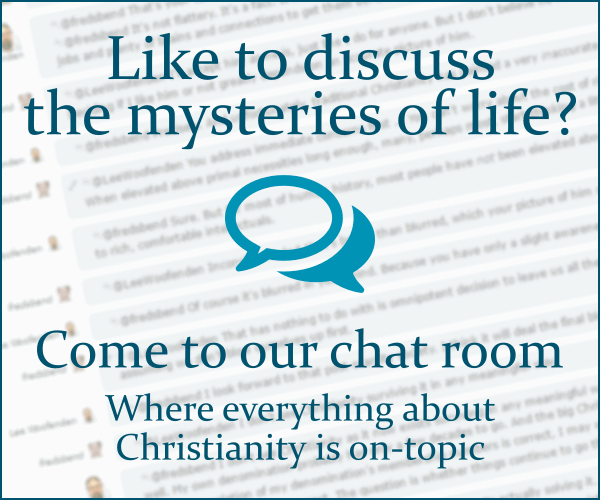 Browse other questions tagged catholicism worship evangelism music or ask your own question. What is the Catholic concept of grace? How do Catholics respond to claims that Christianity was paganised by the Roman Empire?